Four days left until Christmas. Mr Melcher doesn’t like to think about it. Being alone is particularly sad at Christmas. Suddenly a gust of wind blows his cap off his head. The wind and the flying hat round up a mixed group of people and it is soon evident that nobody will be on their own this Christmas. 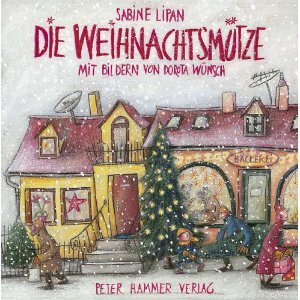 A cheerful story about Christmas without the usual clichés and with the wonderful witty illustrations by Dorota Wünsch.